GARDENA — An ordinance of the Gardena City Council has moved the date of the city’s general municipal election from the first Tuesday after the first Monday in March of odd-numbered years to the first Tuesday after the first Monday in March of even-numbered years beginning in 2020. As a result of this change, which went into effect at the beginning of this year, current elected city officeholders will have their terms extended by 12 months. Mayor Tasha Cerda, Mayor Pro Tem Rodney Tanaka and Councilmember Art Kaskanian, who were elected in 2017, will face re-election in 2022, as will City Treasurer Ingrid Tsukiyama and City Clerk Mina Semenza. Councilmembers Dan Medina and Mark Henderson will now serve until 2020. 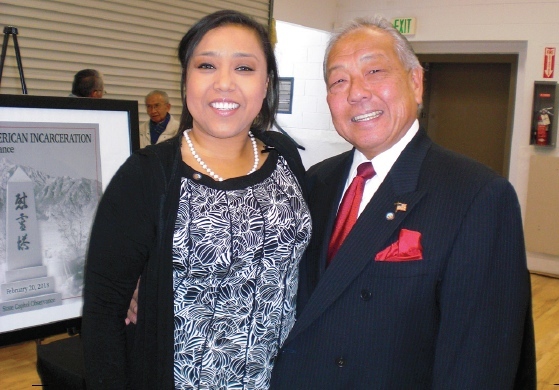 Tanaka and Medina instituted the practice of honoring a veteran at each council meeting, with the honoree chosen by each councilmember and the mayor on a rotating basis. “That’s something we’ve never done, and I think it’s really a good thing to honor our veterans,” Tanaka said. Tanaka outlined some his plans for the rest of his term: “We’re trying to build up businesses and tax bases within our city because with all the things that are going on around us — the new stadium [in Inglewood], Space X, the Ring company [Amazon’s home security startup] is coming to Hawthorne. So we’re going to be surrounded by a lot of things. For questions about the new election schedule, the Office of the Clerk can be reached at (310) 217-9565. Spanish, Japanese, Vietnamese and Korean translations of the announcement can be found online at www.cityofgardena.org/election-information/.